Serving as the global business hub of the Middle East, Dubai needs projects like Burj Khalifa to help garner more international recognition and investment. "Sheikh Mohammed bin Rashid Al Maktoum wanted to put Dubai on the map with something really sensational," said Jacqui Josephson, a tourism and VIP delegations executive at Nakheel Properties. At 2,722 feet and 154 stories, Burj Khalifa became the tallest artificial structure in the world when it opened in 2010 – and a beacon for Dubai. Warm Springs Composite Products’ experienced production experts worked very closely with the manufacturer to impart the necessary knowledge and hands on training needed to work with mineral based materials and to construct both doors and frames that meet U.S. standards. Warm Springs Composite Products even spent additional time on-site assisting the manufacturer during a factory audit performed by the certifying body, to ensure its end products would pass U.S. certifications standards. This attention to detail resulted in finished doors and frames that both met the required US certification standards and were aesthetically pleasing. 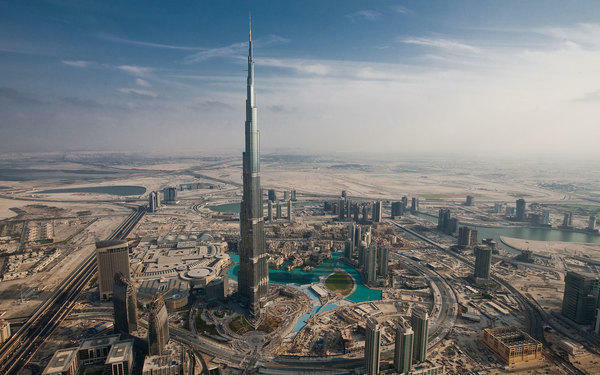 The UAE-based developer of Burj Khalifa insisted on using fire-rated products that adhere to U.S. certification standards versus the more typical British certification standards. The door and frame manufacturer chosen for this massive project had no prior knowledge of how to manufacture to U.S. standards using mineral based products. Warm Springs Composite Products was therefore tapped to provide a product mix of banded door cores and FRX custom frame materials in addition to extensive consultation in order to get the job done right.